What Represents a 40th Wedding Anniversary? 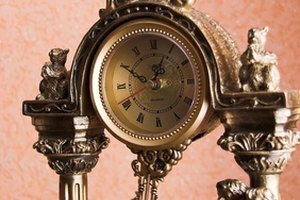 Bronze is used in all manner of decorations and ornamentation. 3 What Represents a 40th Wedding Anniversary? The 19th wedding anniversary is a special one. While not having the benefit of a big round number like the 20th anniversary, it is still a significant amount of time to spend with one person. Celebrate that time with a special gift to remember the occasion. Wedding anniversary milestones are traditionally marked with a specific metal, material, flower or gemstone, so many couples use these as a starting point when selecting an anniversary gift. Tradition dictates that each anniversary milestone is celebrated with a gift based around a certain theme, usually a metal. The 10th anniversary is marked with tin or aluminum, the 25th anniversary is silver and the 50th anniversary is gold. The 19th wedding anniversary doesn't have a historically traditional gift of its own because it falls between other milestones. Even though there is no historically traditional gift, the 19th wedding anniversary has grown its own modern tradition of giving bronze. Bronze is an alloy made from copper and tin. It can be used in jewelry, ornaments and decorations. Bronze can also be used to preserve heirlooms. A bronze frame with a picture that has special meaning, or a bronzed memento from your relationship is a perfect way to mark the significance of the anniversary. Look for bronze decorations or sculptures that fit the personality of your significant other. Bronze is commonly used to create all manner of small sculptures and other decorations; it should be easy to find something that displays their favorite animal or hobby. Unlike some of the other anniversary milestones, there is no specific flower associated with the 19th. If you wish to give flowers but are still stick to traditional form, you can find a bronzed sculpture of your spouse's favorite flowers. Once again there isn't a historically traditional gemstone associated with the 19th anniversary. Topaz and aquamarine, however, have become the modern traditional gemstones to give on a 19th anniversary. 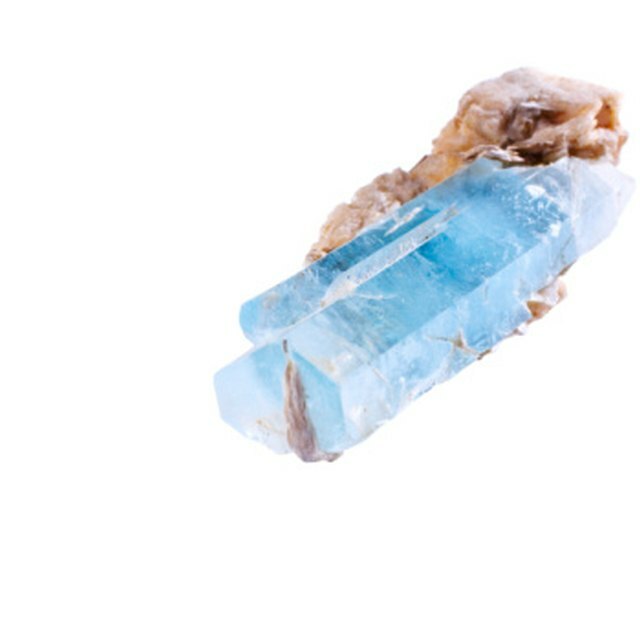 Topaz can range from brown to bright yellow depending on the specific gem, there is also a blue topaz available that looks similar to an aquamarine. An aquamarine is a blue-green or aqua stone and is commonly associated with the sea. Both of these gems come in a variety of shapes and sizes and are used in many different types of jewelry. If you wish to use the modern traditional gemstone of the 19th anniversary look for topaz or aquamarine jewelry, for men you can find a nice pair of cuff links that include the stone. Don't feel constrained by the traditional gift types when looking for a wedding anniversary gift. Never be afraid to stray from tradition and find a gift that has special meaning or significance to your relationship. Mementos and homemade keepsakes, such as a scrapbook or picture album can be very touching. A 19th wedding anniversary gift should be something that will not only be enjoyed by your significant other but also represents the special significance and meaning of your relationship. C.A. Rubino has spent more than 30 years amassing an unusual educational background including a doctorate in metaphysical science, a Master of Arts in Jungian psychology and certification as a Karuna Ki/Reiki master. Currently, he writes for various publications, specializing in religion and spirituality along with topics on alternative health and computer technology. Why Give Coral or Jade for the 35th Anniversary?